This issue’s cover shows Jane Simmons’ popular character, Daisy, and her baby brother Pip. Two Daisy books with their ‘dynamic yet affectionate pictures’ full of painterly exuberance are reviewed in this issue. Thanks to Orchard Books for their help in producing this May cover. The plot is simple; girl meets attractive boy, but developments are frustrated by parents and conflicting loyalties to girlfriends. In Wilson's hands, however, layers are peeled away to expose why people, adult and adolescent, act as they do. One of the strengths of her writing is her depiction of adult characters. They are shown as individuals with their own tensions and concerns which may at times lead to seemingly unreasonable behaviour from the perspective of younger protagonists. 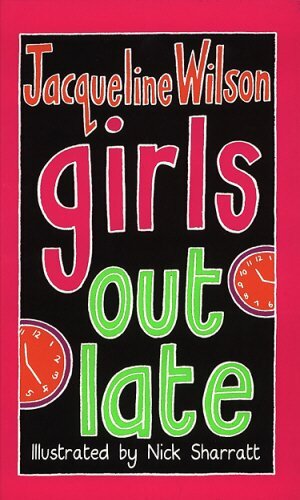 Ellie is annoyed when she is not allowed to go out at night to meet her new boyfriend, Russell, but events also show that staying out late can be hazardous, when she and her mates, Magda and Nadine, have a girl's night-out on the town. Immediacy and pace and a strong leavening of humour are hallmarks of Wilson's writing, making it accessible to a wide range of readers. This is a sequel to Girls in Love and Girls under Pressure.